Samsung has launched the Galaxy A2 Core smartphone in India. 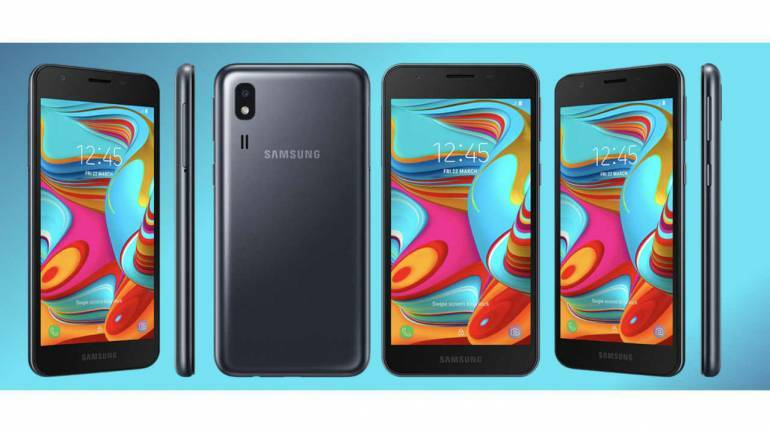 The affordable budget smartphone is the second device from Samsung in India that runs on Android Pie Go. The Galaxy A2 Core is assumed to be a successor of the Galaxy J2 Core that was launched last year in India. The latest Android Go device from Samsung features a 5-inch qHD display with a resolution of 960 * 540 pixels. It is powered by an entry-level Octa-core Exynos 7870 SoC clocked at 1.6 GHz paired with 1GB RAM. Being an Android Go smartphone, the phone would run on the Lite variant of apps that are customised to run on smartphones with less RAM. It has 16GB internal storage which is expandable up to 256GB via microSD. The budget smartphone gets a single 5MP camera sensor at the back with LED flash. For selfies, the front too has a 5MP lens. It comes with a 2,600 mAh battery that should provide decent power backup considering the small display and the lite OS. For connectivity, the smartphone would have 4G VoLTE, Dual-SIM, Wi-Fi- 802.11 b/g/n, Bluetooth v4.2, GPS/ A-GPS, Micro-USB port, and a headphone jack. The Galaxy A2 Core is the first Samsung device to run on Android 9 Go and is assured of getting software updates every two years. The phone has been priced at Rs 5,290. The Galaxy A2 Core would directly compete with Xiaomi Redmi Go that comes with a 5-inch HD screen, Qualcomm Snapdragon 425, 1GB RAM, a 3,000 mAh battery and a better 8MP rear camera that can shoot 1080p videos. Redmi Go is priced at Rs 4,499 which is the most affordable Android Go smartphone currently in India.